Although Hart’s observations are apt in terms of Saoli’s early work, it changed markedly as his career unfolded. His early phase showed a concentration on scenes and figures from his immediate environment, with the imprint of his mentors Ngatane (qv. ), Legae (qv. ), Skotnes (qv.) and Hart, in evidence. A radical shift occurred in Saoli’s life in late 1972 when he was arrested as an ANC associate, allegedly through his participation in clandestine ANC meetings on the campus of Wits University. He was held in solitary confinement for nine months without trial. The consequence of this on his art was negative and he was unable to readjust to a normal life afterwards. Alcoholism became a problem, and he began to periodically live the life of a vagrant. At certain times, however, he managed to produce good work and participated in group shows locally and overseas. The potential of the ‘poetic sensibilities’ that Hart sensed in his early work were pushed in more commercial directions, prompted no doubt by his studying commercial art after his release from prison. His work, vacillating between different influences, then moved completely away from the influences and style of his Jubliee Art Centre mentors. His mixed-media abstractions, using brighter, primary colours and a translucent layering of shapes and linear, figurative elements, resulted in works of a pseudo-mystical nature, which commercial galleries now punt as his finest work. In 1992 Saoli’s alliance with the artist Peter Sibeko, who ran the Soweto Gallery, brightened his prospects but continued what can only be termed as his trajectory of artistic decline. This was speeded, perhaps, by the extravagant praise of his work generated in circles keen to commercialise his reputation with sympathetic art-buying tourists. In 1993, on the eve of the advent of a new dispensation in South Africa, Saoli was diagnosed with cancer. He died on 20 May 1995, alone and destitute, in many ways a victim of the political, social and market forces that have blighted and exploited so many promising artistic careers in this country. Bill Hart, ‘Winston Saoli’, Artlook, January 1971, p. 27. Born Acornhoek, Mpumalanga, 3 January 1950; died 1995. Training 1963: Began attending the Morris Isaacson School in Moroka. 1968: Jubilee Art Centre, Johannesburg, under Bill Hart and Ezrom Legae. 1973-1974: Diploma Course in commercial art. Exhibitions 1969: First solo exhibition, Goodman Gallery, Johannesburg. 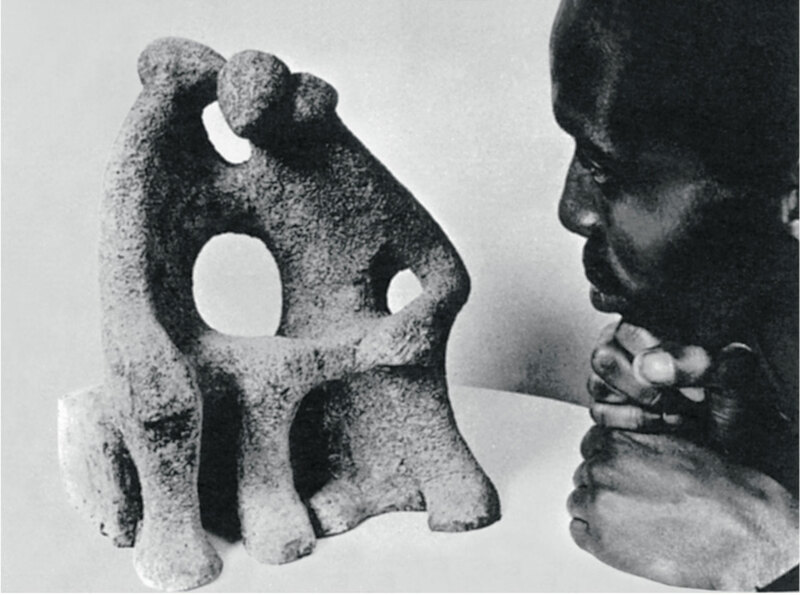 1979: Contemporary African Art in South Africa (touring). 1981: Black Art Today, Standard Bank, Soweto. 1988: The Neglected Tradition, Johannesburg Art Gallery. 1995: Three-man exhibition with Paul Sekete and Peter Sibeko. 2002: Retrospective exhibition, Rand Afrikaans University (University of Johannesburg). Collections Johannesburg Art Gallery; William Humphreys Art Gallery, Kimberley; UNISA Gallery, Pretoria; De Beers Centenary Art Gallery, University of Fort Hare, Alice; University of the Witwatersrand Art Galleries. Winston Saoli. Source: Bill Hart. 1971. ‘Winston Saoli’. Artlook. January. p. 27.